This Anniversary, Paintology brings to you a destination which is on everyone’s dream list! – The beautiful ‘Maldives’ to enchant with its beauty and sooth your mind and soul while you paint this spectacular turquoise waters. As our special week, the first 10 online participants will get a Rs.200 voucher coupon as a gift from us. 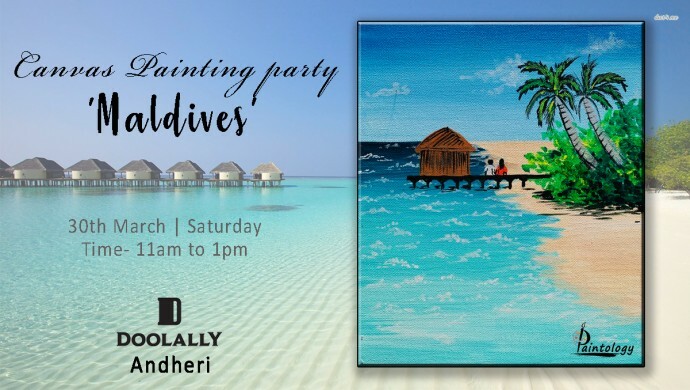 Share "Canvas Painting - Maldives "